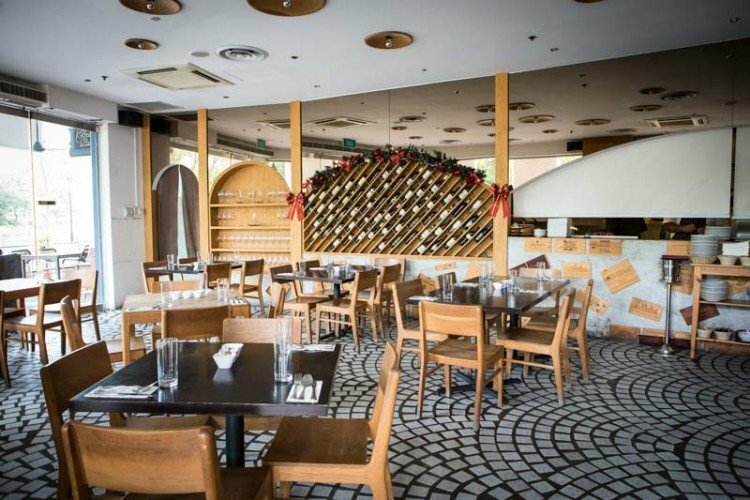 Located along the Singapore river at Robertson Quay, Bella Pasta is the sister restaurant of famous pizzeria, Bella Pizza. 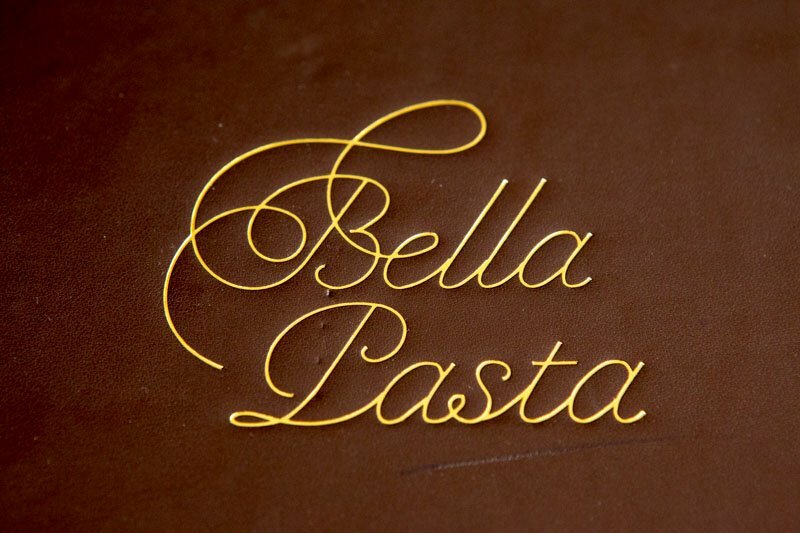 Established in 2010, Pasta Bella serves authentic Italian without much modifications for the local palate. A simple functional decor of an Italian farmhouse, cobblestone flooring, rustic wooden furniture teleports one to the meadows of Italy. Insalata Di Spinaci ($17++). 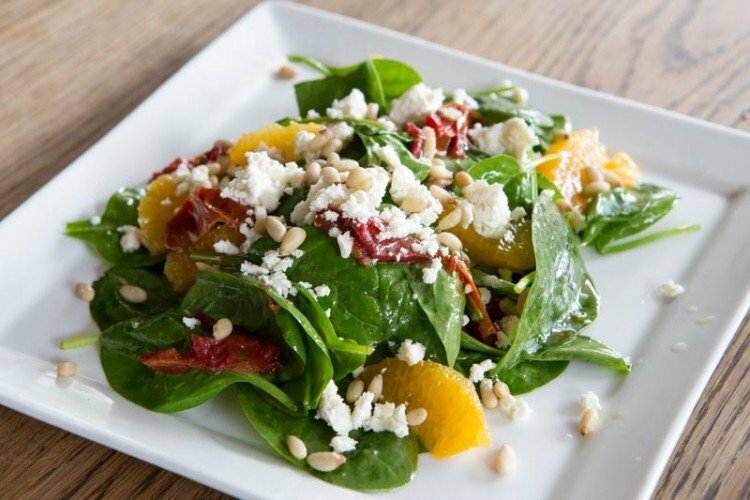 A simple salad of fresh velvety spinach leaves dressed with a simple vinaigrette accompanied by crunchy pine nuts. The citrusy mandarin orange slices add a sweetness while the sundried tomatoes add a firm texture to the otherwise soft dish. The light crumbs of feta cheese are springy and soft. 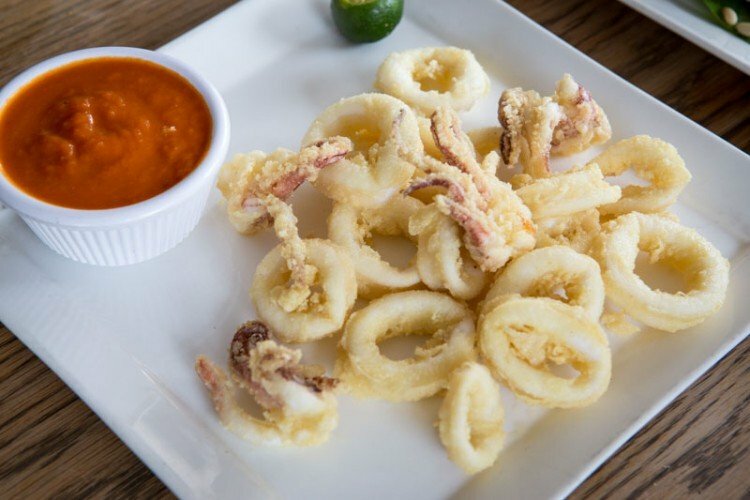 Calamari Fritti ($20++). A light batter coats juicy succulent squid rings which were surprisingly tender. The marinara sauce was rich in flavour yet didn’t overwhelm the taste of the calamari. Unlike most eateries, Bella Pasta serves this dish with lime instead of the usual lemon slice which gives a more sweet, tangy burst of flavours which really lifts the heavy fried squid. Scamorza Affumicata Con Prosciutto ($21++). We were expecting a cured meat platter with Burrata cheese as it seemed like the norm at most Italian eateries in Singapore. 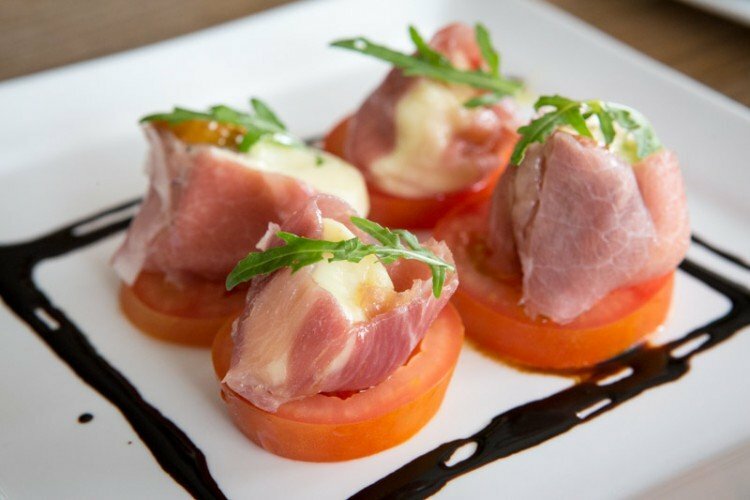 However, we were surprised with this simple dish of grilled smoked Scamorza cheese wrapped with thinly sliced Italian Parma ham. Scamorza comes from the same cheese family as Mozzarella but is firmer and has more flavour. A unique blend of flavours – cheese (smoky), ham (salty), tomato (sweet). Simple to eat than the messy Burrata, it was our favourite dish here. Spaghetti Alla Carbonara ($22++). 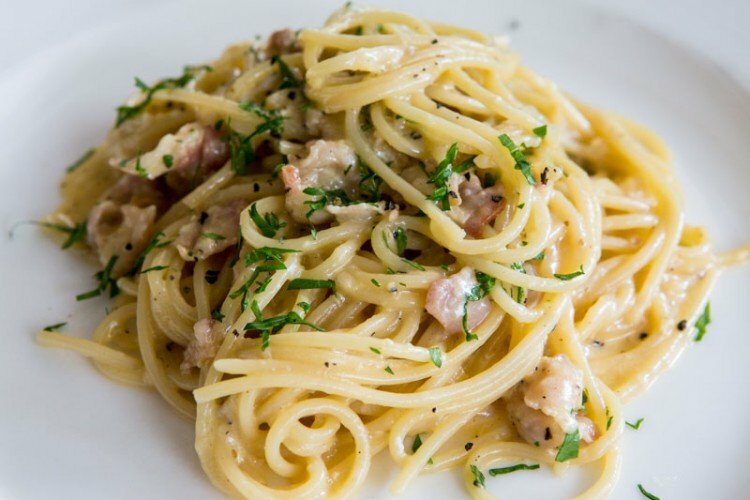 To most outside the Italian borders, Carbonara is a creamy pasta dish but in actual fact the Italians rarely add cream to their dishes (The French are the total opposite). The key to the creaminess of the “real” Carbonara is cooking the eggs, cheese, pepper and pasta water off heat leaving a thick flavourful sauce. A very authentic, delectable carbonara which despite lacking cream, has a hearty body that coats your mouth. Risotto Ai Funghi Porcini ($24++). 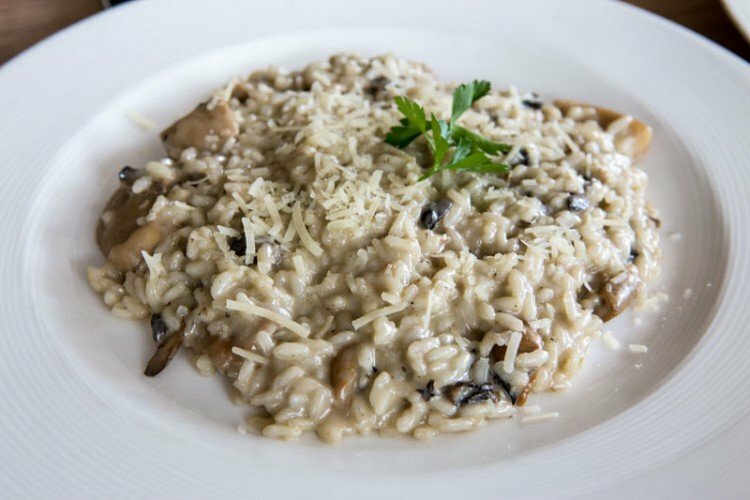 Arborio rice simmered in white wine stock and served al dente – the grains are crunchy and firm with every bite. The porcini mushrooms were diced into sizeable pieces rather than minced at other Italian eateries, so you get a good bite on them. A simple yet toothsome dish, some locals might think the rice is ‘under cooked’, but that’s really not the case. 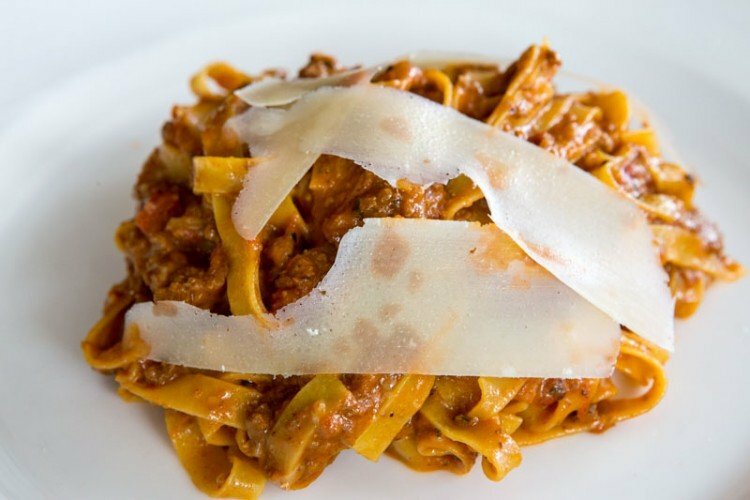 Tagliatelle Alla Bolognese ($24++). Homemade pasta served with a rich beef ragu gravy. The homemade tagliatelle were cooked a little too soft to our liking which this has a lack of textures with the sauce, but the table next to ours occupied by Japanese patrons seemed to enjoy it – Bella Pasta has a strong Japanese expatriate following despite the lack of “Japanisation” in the dishes. 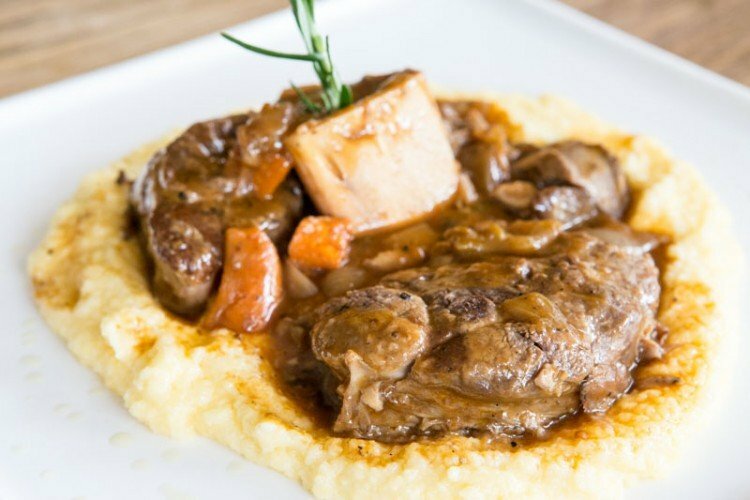 Ossobuco Di Manzo Con Polenta ($33++). Veal shank slow cooked in its juices for hours and served on a bed of soft polenta. The veal was juicy and tender and it’s juices added immense flavour to the bland polenta. Polenta is commonly served in place of mashed potatoes in many meat dishes in northern Italian cuisine; however, diners have the option of changing it to mash which is actually our preference. 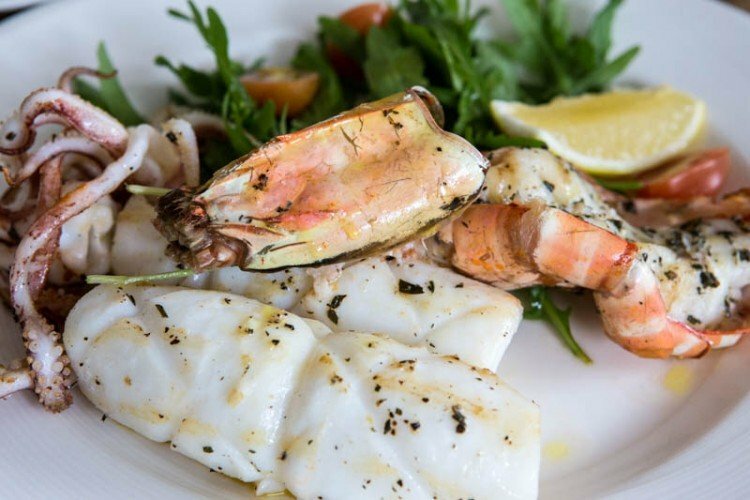 Grigliata Di Gamberi E Calamari ($29++). The huge grilled prawn was meaty and juicy, while squid was very tender with that hint of char. 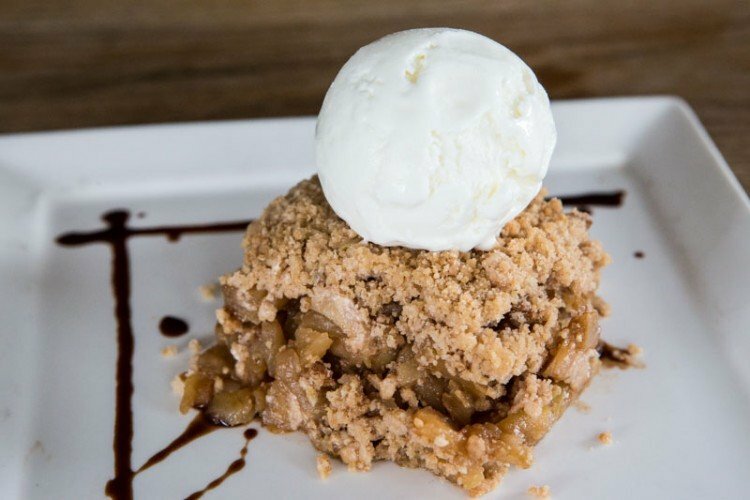 Topped off with a simple lemon olive oil vinaigrette.
. One of the better apple crumbles around, best enjoyed with a fresh cup of coffee. 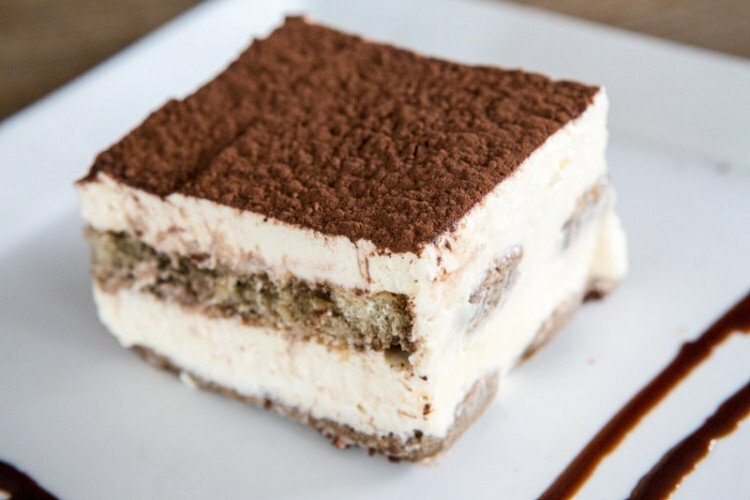 Tiramisu ($10++). While a common dessert in any Italian eatery, Bella Pasta’s is probably one of the better ones around. The mascarpone cheese was smooth and the Savoiardi was sufficient soaked in strong coffee liqueur. Friuli Latisana Pinot Grigio. 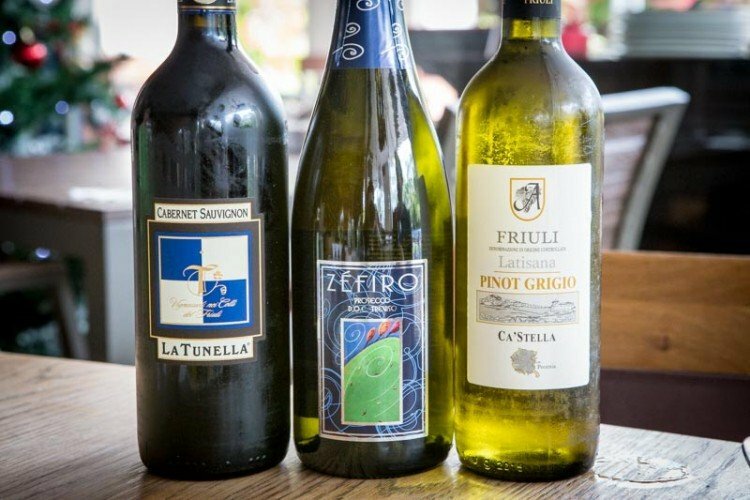 A selection of reasonably priced Italian wines were paired with our dishes. I particularly enjoyed the lightness of the Prosecco, a slight nutty after-taste that went really well with the seafood dishes and salad. Take a walk around Robertson Quay and you will be spoilt for choice with the numerous eateries – especially Japanese joints (40+ of them in the area). However if you are looking for certainty of Italian quality, look no further and head over to Bella Pasta. Settle into your meal, enjoy the tranquil of the riverfront and people watch.